Moonlight Sonata: Deafness in Three Movements, a feature documentary I produced with Irene Taylor Brodsky, premiered at the 2019 Sundance Film Festival in the US Documentary Competition and is now set to air on HBO. The film is an intimate memoir exploring the discoveries made in the wake of loss, through the eyes of three deaf people across three centuries. Learn more about the film, upcoming screenings and read recent press at Vermilion Films. 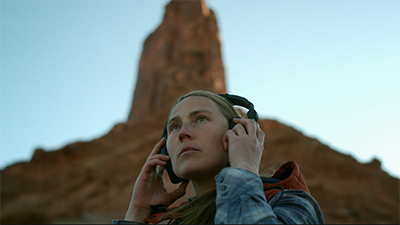 I recently directed a short film for Chaco Footwear and Stept Studios on my talented friend, composer and conservationist Jess Kilroy, who creates music from natural sounds captured in wilderness. Learn more and watch the film here. This summer I worked with director Irene Taylor Brodsky on The New York Times Op-Doc exploring the impact of technology on the deaf experience through the eyes of young deaf adults. Irene has a unique perspective on sensory augmentation, being the mother and daughter of deaf people who each wear cochlear implants. The New York Times published Between Sound and Silence in August of 2018. A selection of my client and independent works. Tahria is a documentary producer and director based in Portland, Oregon. Hailing originally from Sydney, Australia, she has worked in remote locations around the world. Tahria produces documentary films, branded content, and broadcast series for brands like Columbia Sportswear, Chaco Footwear and Travel Oregon, media outlets like The New York Times, National Geographic and PBS, and non-profits including NoVo Foundation, Maine Farmland Trust and Neighborhood Centers Inc.
With Vermilion Films, she recently produced the New York Times Op-Doc, Between Sound and Silence, and the short film Homeless: The Soundtrack, which received a Special Jury Mention at Tribeca Film Festival 2018. Tahria’s work with National Geographic includes producing a broadcast series following the path of human evolution through the horn of Africa, the Middle East, Asia and Africa; a branded content series for the Adventure online magazine and an investigative story with two Explorers in central Africa. She acts as the master logistician throughout pre-, in-field and post-production stages of each project, and is as capable behind the camera as she is crafting story in the editing suite. Tahria’s films have received recognition at various film festivals, including Tribeca Film Festival, Mountainfilm and Camden International Film Festival. Read about some of Tahria’s recent adventures in an interview with travel blog Travels With Nina here. Thank you for your interest in my work. Please fill out the contact form below and I will attempt to respond as soon as I’m on the grid!